Seeing The Unseen – 嗨！வணக்கம்! Retna and I (probably the Tan-Vijayans too) love to join a local tour, wherever we are. It is a good way to get to know the cities or the places we are at. Actually the first ever walking tour we joined for our own traveling – Sydney, a free walking tour, which at the end of the tour (after 3 hours), the tour guide will ask for a tip, which we happily gave. Then when we moved to Melbourne, we did the same too, this time, about 3.5 hours. We got to know so much about Melbourne and it was really worth to pay (tip) the guide. It was also their time and effort. No one should leave without being compensated for their time. There were other walking tours I have participated while I was away for work, the very kind clients arranged for the tours (normally 1-2 hours) for us to get to know about the places we were at. So far, I have had great fun on the walking tours for places in Krakow, Kyoto, Nagoya, Seville and Bali. Seville was good, just that the guide had a cold, I distant myself, so not to get sick. With our kids, we joined the Osaka walking tour, we gotta to know Hatanaka from Osaka, she took us to walk about the night life of Osaka (don’t get anything wrong, not that sort of night life, but we passed by the red light happening spots, should anyone interested to know). Some lanes (seriously hidden) in Osaka, really I do not think we would have discovered them ourselves without having Hatanaka-san to show us. It was a great time, and we also learn where would have been the best spot to photograph the famous Glico neon street sign. I had a great time in Kyoto and Nagoya, on a tour arranged by client, which I visited the palace of the shogun as well the night market in Kyoto, which I then took our kids to when we were back in Kyoto in December last year. When you take a tour with a guide, you would have the expectation that the guide would be showing you the places, explaining the cultures as well as what are the things we probably do not know, about the places, culture, religions as well as food (yes food). When we were in Basilica of Vatican City, the virtual tour guide (hearing aid) shown us the churches, like half a day. Then we had a really good guide, Sara, when we were on our tour in Coliseum, she took us into the basement of the platform, to see what the preparation of the fights were. Retna and I asked the guide in Sydney about crocodile meat pizza and kangaroo burger, and I am not telling you if we had them. The guide was full of information and recommendations. So reading till here, you could see that we know what to expect from a walking tour, or a tour. Not all of them were great. Retna and I had really bad experience with our tour guide when we visited Japan for the first time, he sort of more interested to sell us stuff than telling us about Japan. We took a walking tour in support of some initiatives started some very ambitious people in the community. 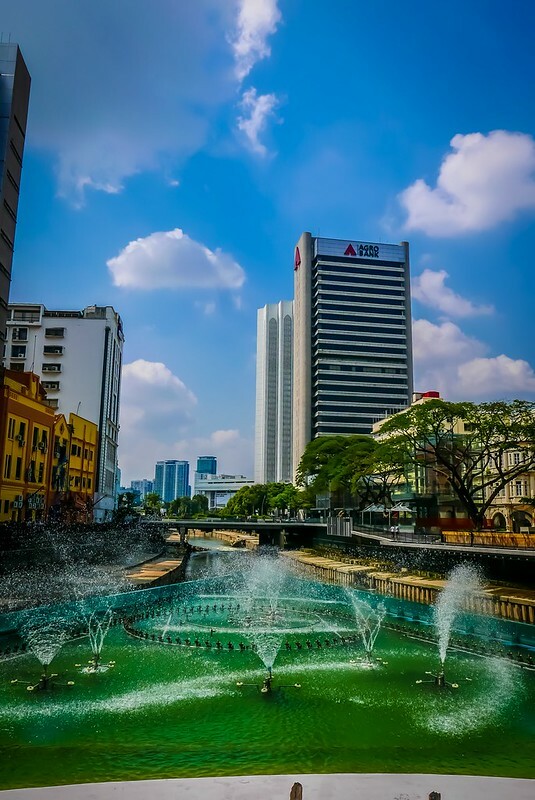 An initiative by Yellow House KL (also running a home stay in Cheras, KL), called Unseen Tours of KL. We wanted to join the walking tour of Street Art, but was not available. So we went on multi cultural walking tour. 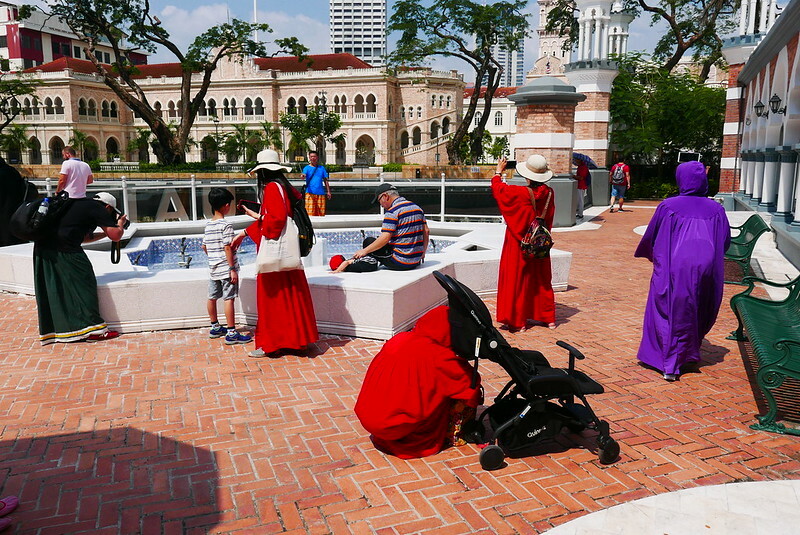 We were told the tour will take 3 hours to complete, where the guide will take us to see hidden cultural places of KL. We started of at Chow Kit Monorail Station, which I think the organiser failed to inform how they would be waiting for the guests, like where. Chow Kit Monorail Station has 2 exist and entrances. By the time when we located the guide(s), we needed to cross the street where no crossing allowed. Well, we sympathised. We compromised. I almost forgotten about that. I checked on Wikipedia, there was a quote by The Star – “Kuala Lumpur came to a standstill and it had nothing to do with the recession, but with one man, Malaysia’s top entertainer, an electrifying performance and most memorable night”. I was in standard six that time, I have no memory about the concert, maybe I will ask my mom. Then we walked into a wet market. If you have not been to a wet market, or the older sort of wet market, you would know the condition of the place, wet, dirty and of course smelly. 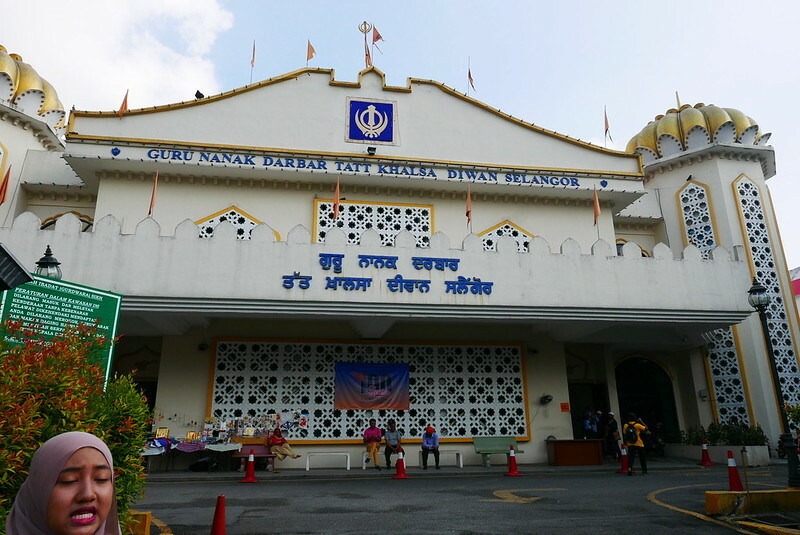 We were told that the first place we were to visit was Guru Nanak Darbar Tatt Khalsa Diwan Selangor, at Chow Kit. To enter the holy place, every one needs to cover their head with a handkerchief or cloth. Once we entered, we were told no visitors on that day, because there was a wedding going on. So, walked through the dirt, stink, kind of frustrated. The guide made it worse by reading to us the explanation of the shrine, through a script, she was holding. She just read it, as it was, “…..96 years…..” and we could see the signage that the temple celebrated its 100th year. Walked back to the main area of Chow Kit, we were told by the guide, we need to take a bus now, because the next location we were visiting is St Mary Cathedral. Took the GoKL Rapid bus which was packed with foreigners, and we were probably the only Malaysian, and perhaps the driver on the bus. Well, it was free shuttle. I spoke to the guide that, we could walk to Dataran Merdeka, since it is just down the road from Chow Kit. He insisted us to take the bus. The bus driver (after I spoke to Dinesh, I learn that the driver failed to master the hydraulic braking system) braked too much and too fast. Yes, you could guess, all passengers standing would have been thrown forward and backward, at short notice, or rather, at surprising rate. “Queen Victoria’s ghost or spirit?” we asked. “The queen of England,” guide replied. “Yes, in the ghost form?” we asked, again. “Oh Queen Elizabeth,” guide said. We walked about, checked the studio apartment. Nothing much. The guide also got confuse when asked about Roman Catholic and Anglican, which is which. We then walked over to Masjid Jamek, and were told Jamek was a common name used in mosque with Indian Muslim. 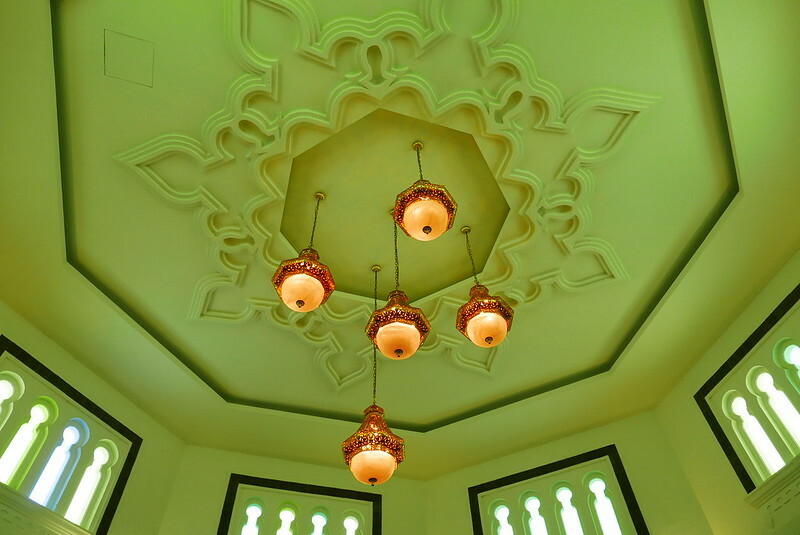 However, when we met the mosque volunteers (yes, you could join a walking tour of the mosque in the morning), we were told Jamek means community, for the people. Dresscode is crucial in visiting mosque, however, you could always loan the robe from the mosque to cover the necessary. The mosque is really beautiful and large. Could host 5,000 (or more) pilgrims to come for prayer on Friday. 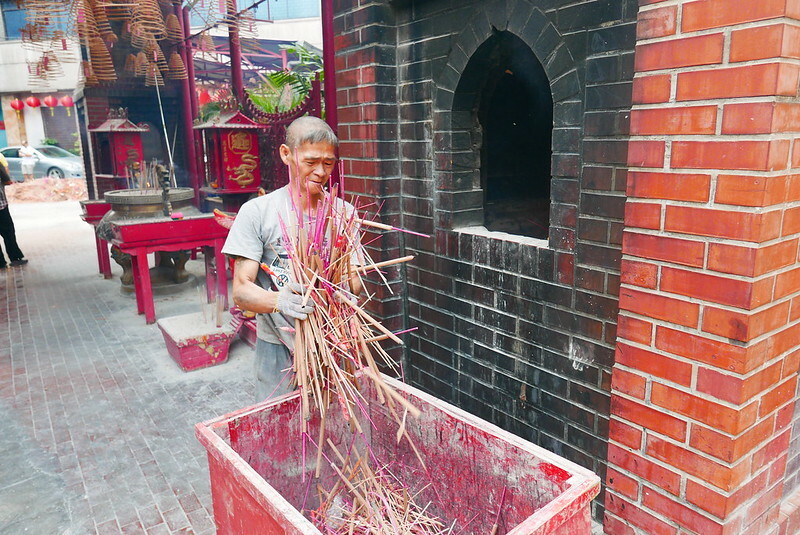 Next, we walked to Sin Sze Si Ya Temple (仙四师爷宫) on Lebuh Pudu, which started by Yap Ah Loy’s team of workers, so historically, it is a very old temple. 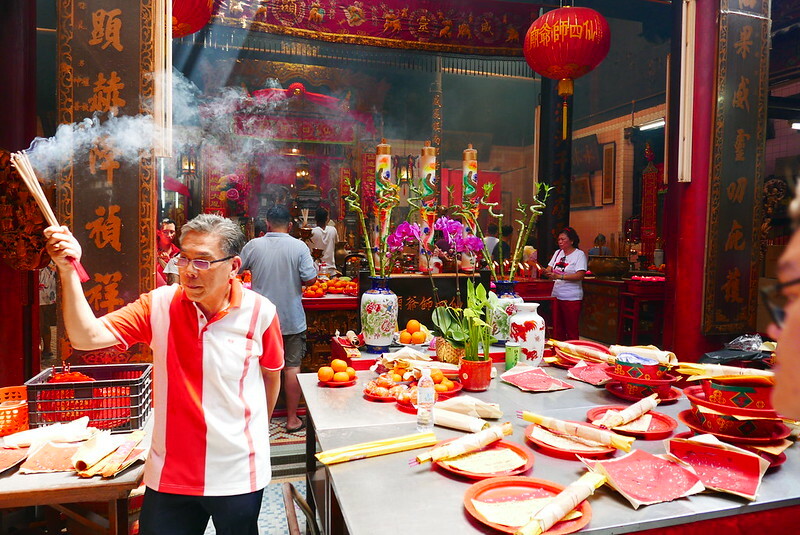 The temple was packed with pilgrims praying and offering for a better year ahead in conjunction with Chinese Lunar New Year. 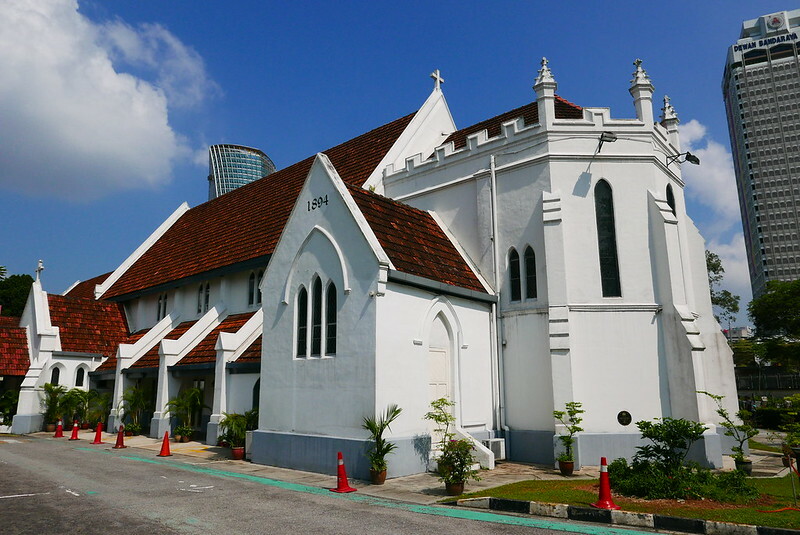 I just learn that the temple is built on a parcel of land formerly owned by Yap Ah Loy. Whoever the statues inside the temple were the former comrades of Yap Ah Loy, whom have fought with him during the war of tin. The above we found out from the internet, not from our guide. 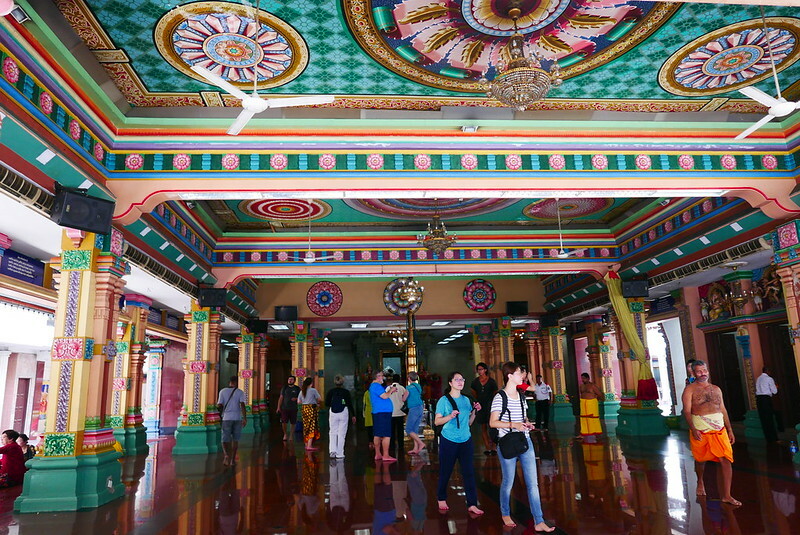 We walked over to Sri Mahamariamman Temple, also the oldest Hindu temple in KL. 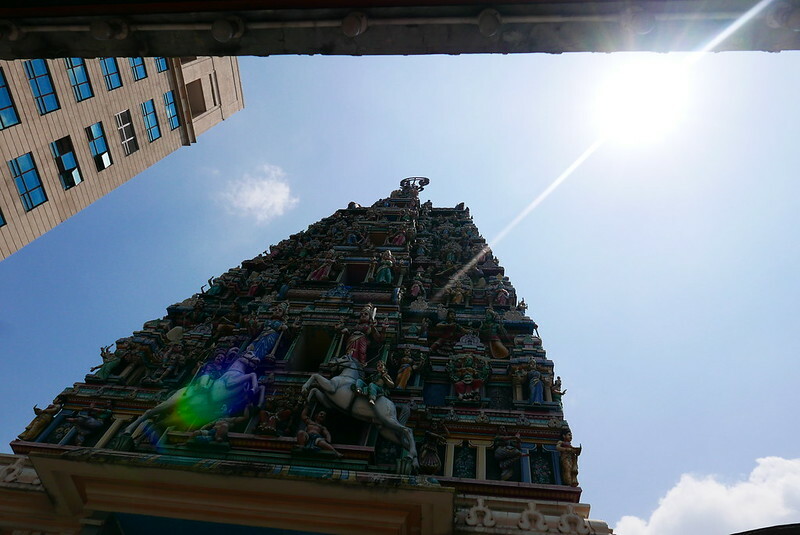 Guide informed us nothing much other than the Thaipusam celebration which takes place here. As you can see we did not enjoy the walking tour by this guide. We were offered refund, I did not take it. Why? We signed up, it’s a transaction we expect the service will be rendered, not we wasted our time, effort and arrangement to get our kids all in one place, so we could get a refund. Since the service is terrible, we will not recommend it to anyone, neither we will use the guide and the team, ever.